A Saddle is a big investment, so let Calton Saddlery Services help you get the right saddle, expertly fitted, at the right price. We provide first class customer service and will help take the worry out of buying a new saddle. If you are looking for a quality saddle from a totally independant supplier or just general saddle fitting advice, then give me a call. The right, well fitting saddle is essential for you and your horse to perform. I will come to you and provide a totally pressure free service. I can supply Dressage Saddles, Jumping Saddles, Event Saddles, GP Saddles, Show Saddles and Pony Saddles from many different manufactures to suit all budgets, starting at £565 for Pony Saddles and £845 for GP Saddles and bespoke, made to measure saddles from £1750. If I haven't got what you want, I will do my best to find it ! All my saddles are made in England by members of The Society of Master Saddlers. All saddles can be traditionally flocked with the finest lambs wool or fitted with The Flair SystemTM. Second hand saddles are also sometimes available. With more than 70 years of combined experience as Master Saddlers, Rob Cullen and John Hartley have made the name of Black Country Saddles synonymous with innovation and quality throughout the equestrian world. Extensive knowledge and understanding of saddle manufacture allows us to produce a range that can be fitted to all types of horses. Our saddlemakers work closely with the saddle fitters to ensure the best possible combination of fit for both horse and rider. We are committed to providing you with the best possible product available. We have declined the mass production demands and remain with tradition continuing to use and source quality British materials, from the initial stages of the wood laminated Spring Trees complete with 10 year guarantee to 100% wool flocking, English leathers and skilled craftsmanship, found at the benches of our factory in Walsall, England. 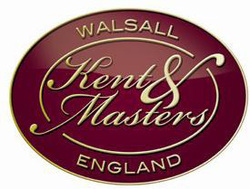 Behind the Kent & Masters Saddlers name is a quarter century of saddle-making experience, saddle-fitting knowledge to the highest standard and equestrian expertise proven at international level. 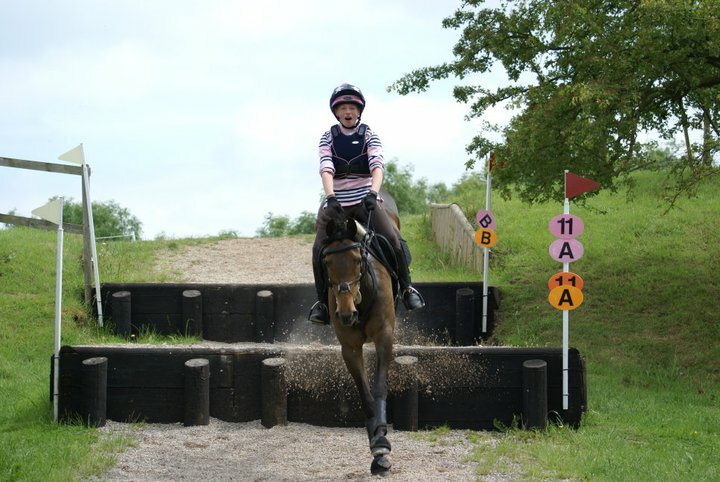 When purchasing a new saddle we believe you should expect it to improve the performance of both horse and rider. Harmony is the key to a good and long lasting relationship; here at Harry Dabbs we can help you establish this by choosing the right saddle to suit you, your horse and discipline.Harry Dabbs Saddle Makers have been designing and making exceptional saddles to suit the majority of breed types for over 40 years. 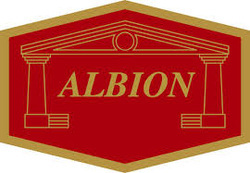 Albion saddles have been continually developed over 25 years and are now recognised as one of the worlds leading saddle brands. The design and engineering of the product, sets it apart from all other competitors, and the quality and quantity of professional riders throughout the world proves that the ‘science of feel’ really brings superior results. Fieldhouse Riding Equipment was established in 1983. Geoff Fieldhouse a Master Saddler by trade founded the company to supply quality saddles to the retail trade.The GFS brand was the first to be introduced with a range of saddles, bridles and associated accessories. 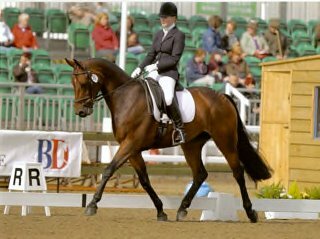 In 1998 after successfully establishing the GFS brand in the market Fieldhouse Riding Equipment became sole distributors of the Pessoa range in the UK. Geoff Fieldhouse worked closely with Nelson and Rodrigo Pessoa to design and produce the world renowned Pessoa Brand of saddles, bridles and accessories. This relationship also led to another famous name coming on board, Blyth Tait and his cross country saddles developed in conjunction with Pessoa and GFS. Liberty Saddles are a new and exciting range of performance saddles. 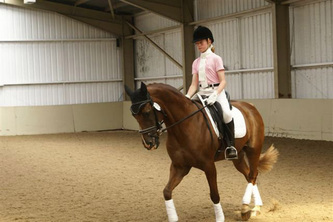 They have been developed with riders to form the connection between horse and rider. They are avaiable in many designs including Dressage Saddles, Traditional Jump Saddles, Monoflap Jump and Event Saddles and Pony Dressage and Jump models. GP saddles also available. All Liberty Saddles are handmade using the finest materials by Master Saddlers who are members of The Society of Master Saddlers. Please contact me for further details.